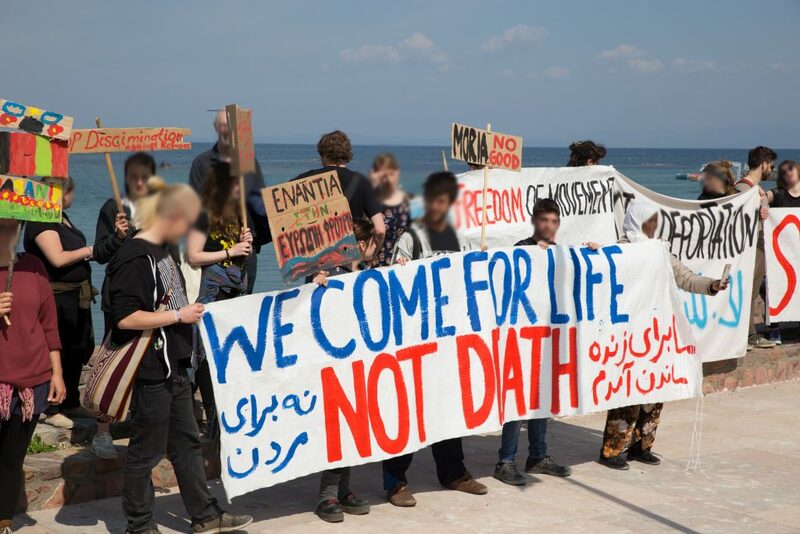 No Border Kitchen Lesvos | Push back Frontex! You can't evict a Movement! 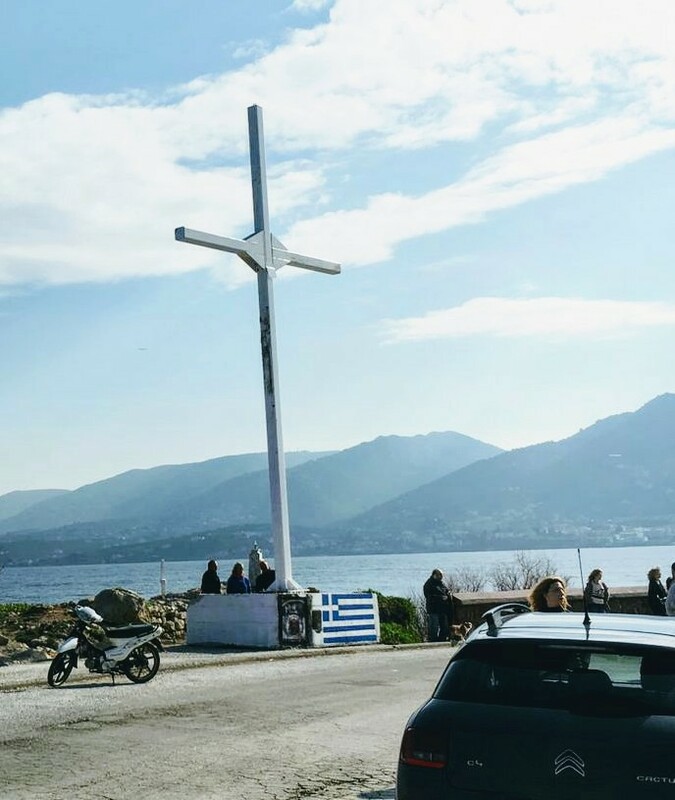 Chios fascist, erected a 10m high metallic cross on the rocks of Apelli, Mytilene. have an immediate view of it. Just one month later, the cross was found destroyed. reasons for the erection were pushed out of focus. flag poles, a plaque, and various forms of art. and more right wing, spreading hostility against the migrant population. event. This simply is a lie. It never had any true source or foundation of reality. place, for fear of fascist attacks. 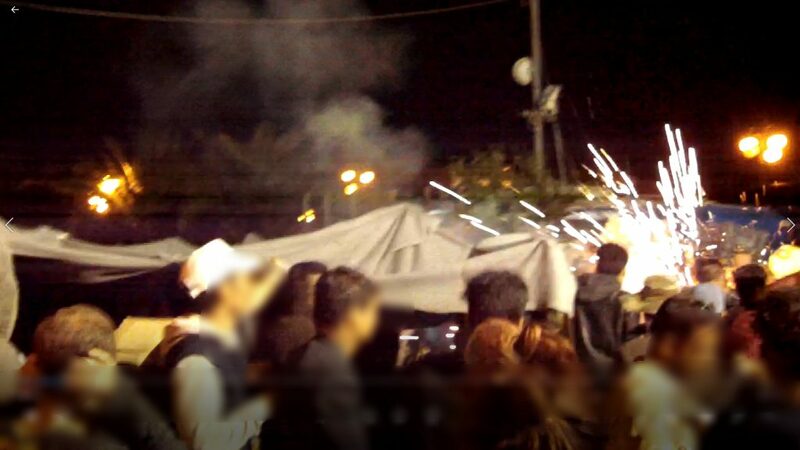 threw bottles, stones, and fireworks, whilst screaming “burn them alive”. Several people were injured and had to be treated in hospital. population, strengthening and encouraging racists beliefs and attitudes. solidarity and practically supporting the people on the move. 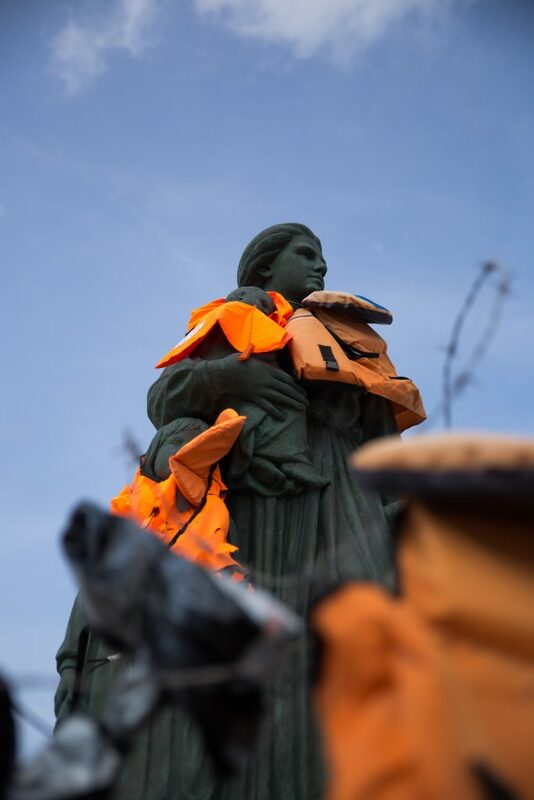 The 20th of March 2019 marked the sad, third anniversary of the EU-Turkey Deal; a bad deal for refugees and asylum seekers who where looking for safety in Europe, because the current policies are still not offering sufficient safe routes into Europe. 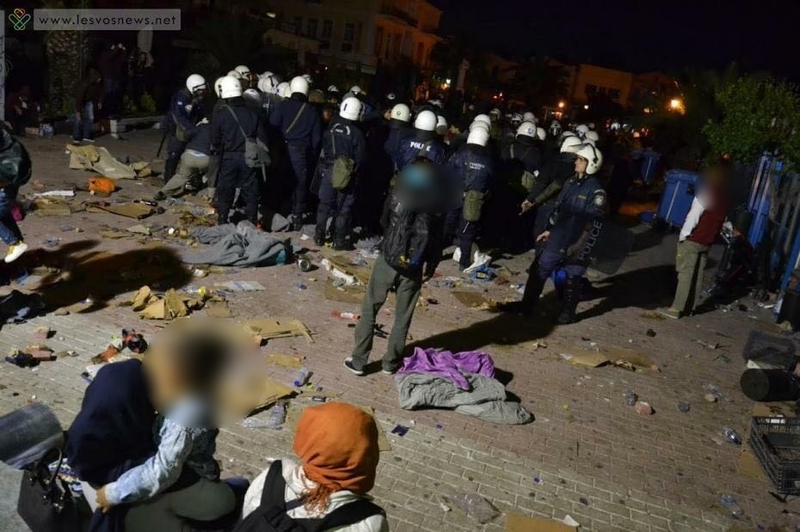 The Eu-Turkey Deal stipulates that, among other things, Turkey controls its own border and all new irregular migrants crossing from Turkey to Lesbos as of 20 March 2016 will be returned to Turkey. For every Syrian being returned to Turkey from the Greek islands, another Syrian will be resettled to the EU. Turkey will take any necessary measures to prevent new sea or land routes for irregular migration opening from Turkey to the EU. The Deal is shameful and in fact people still die and get arrested through this. 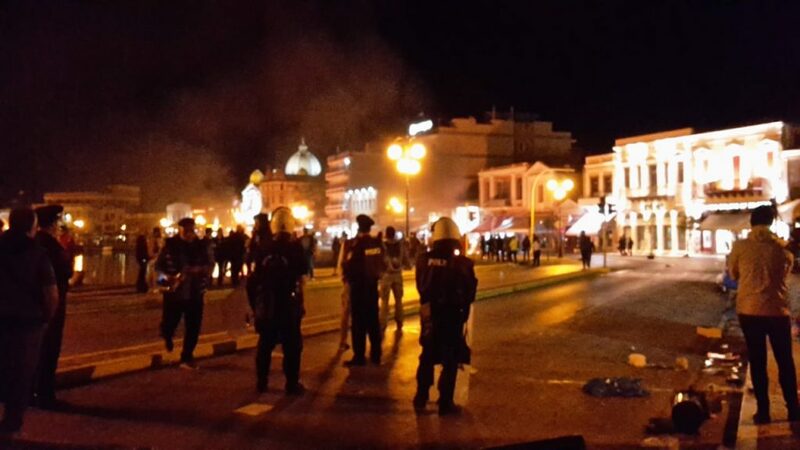 This is the reason why people of Lesbos demonstrated together at the 20th of March against this bloody Deal. Around 120 people met at Sappo Square with banners and marched through the streets until the “Άγαλμα Μικρασιάτισσας Μάνας” Monument, “The Mother from Asia Minor.” Locals and Refugees held speeches in front an installation made out of a fences and life jackets as an image of this brutal, unhuman policy. The truth is that desperate people will not stop trying to escape war and violence, and, despite the deal, arrivals in Lesbos have not and will not stop. As a result, camps remain overcrowded and services overstretched. Last year in March eight men were arrested and accused of attacking the cops and for arson during protests in Moria camp a few days before. 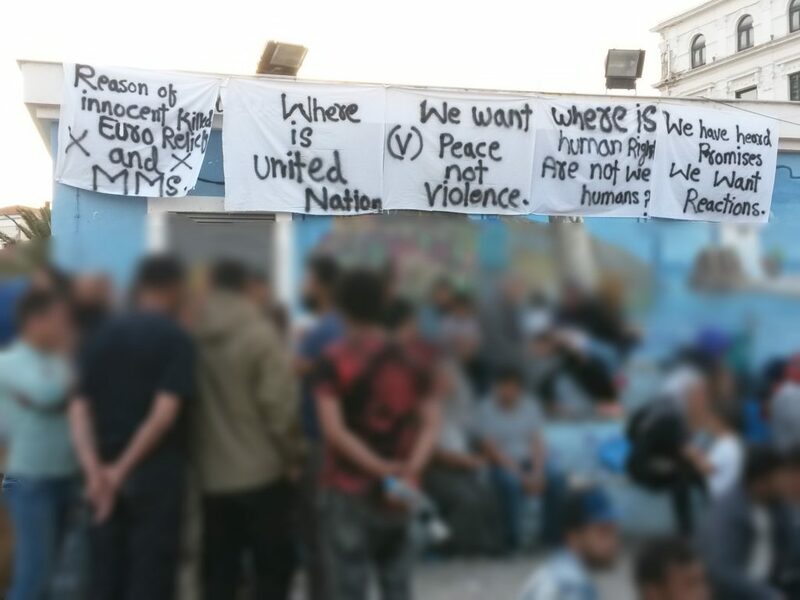 Five of them were kept in prison for 11 months, on the mainland and on Chios. 11 months after the arrests, last week on the 22nd of February, they were finally brought to the High Court in Chios, where it took the three judges and the four person jury only an hour and a half to acquit them of all charges and declare their innocence. Already in the pre-hearing directly after the arrests, the lack of evidence and the arbitrariness of the whole case was very obvious. The whole accusation was only based on the testimony of a camp resident, who was in the role of community leader at that time. He claimed to have recognized all eight men, although their faces were covered and it was dark, and the air was full of smoke and teargas. Some of the accused men reported that they did not even know the community leader personally. On the day he testified, his geographic restriction to Lesvos was lifted and he was able to leave to the mainland. Repeatedly community leaders are put under pressure by the police to pass on information and are threatened with criminal prosecution themselves, or told that it will harm their own asylum claim if they do not cooperate. 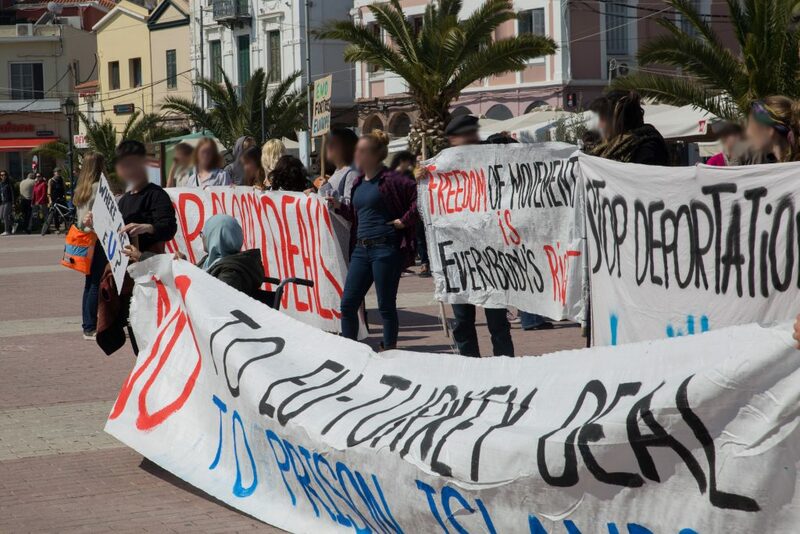 Moreover, they are offered the possibility to be able to leave the prison island Lesvos if they work as informants. In this case the abuse is more than likely. Not one of the 17 cops who testified has been able to recognize a single person. The alibis proving the absence of at least two of the accused during the protests were neither taken into account at the pre-hearings nor at the submitted objections against the detention. The final decision, to find them innocent, is a small success and a relief for the accused. Nevertheless, five of them had to endure 11 months of imprisonment, and the criminalization of migrants and the random arrests continue. The randomness of the arrests and the lack of of investigation shows once more, the symbolic character of the trial. 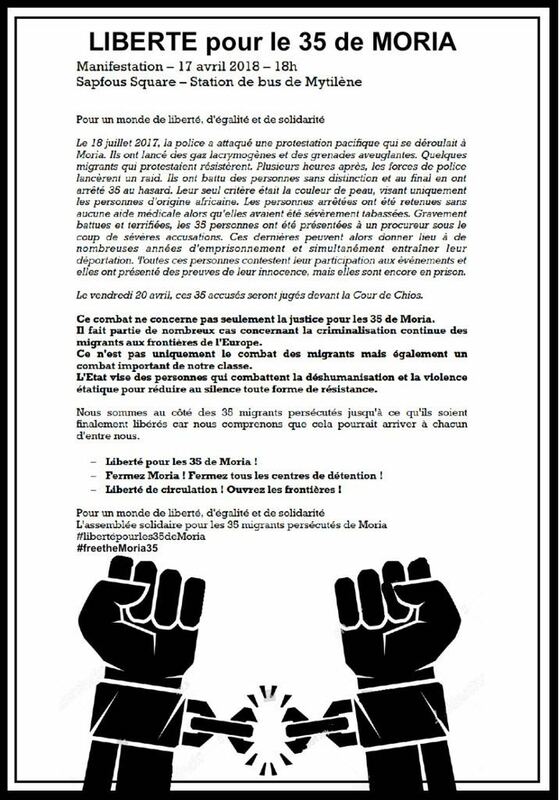 It is another act of intimidation against those who try to oppose the system of detention and encampment at European Borders. 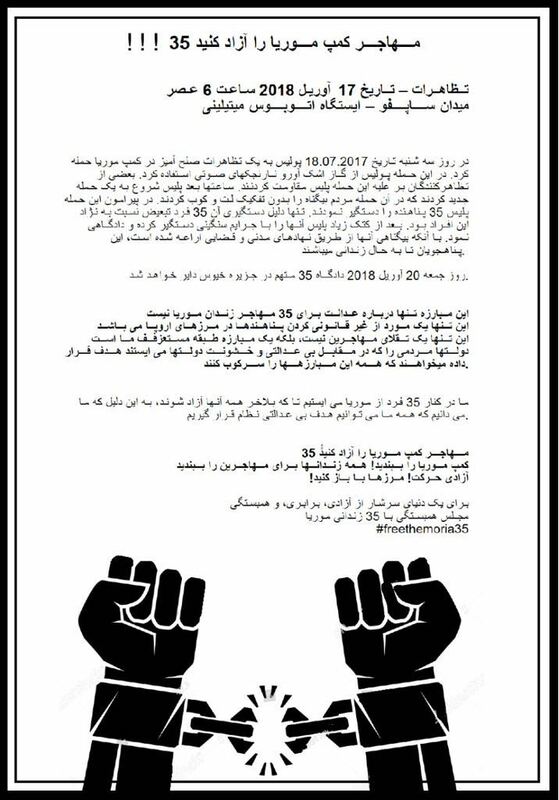 The pre-trial detention and the charges based on dubious accusations outline another case of criminalization of protests and a violent crackdown on the resistance of protestors. 2018 and things haven’t changed, Europes borders keep being as deadly as in the previous years. 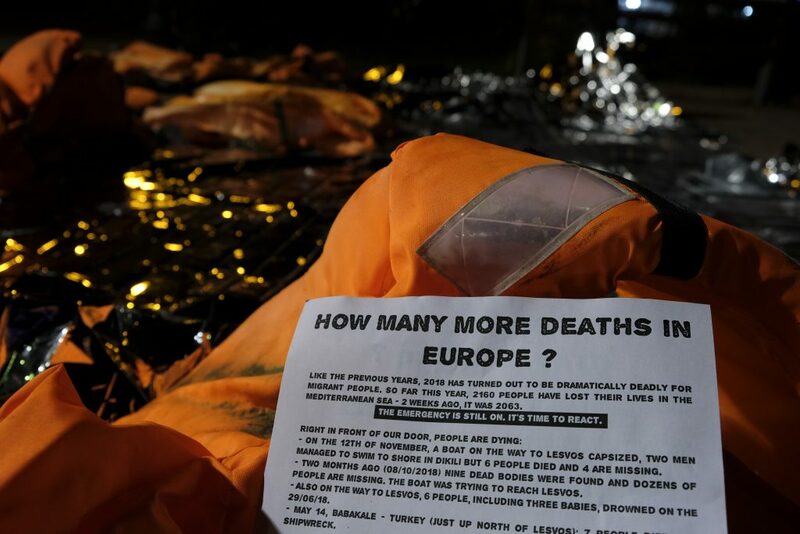 So far this year, 2160 people have lost their lives in the Mediterranean Sea – 2 weeks ago, it was 2063. The emergency is still on. It’s time to react. – On the 12th of November, a boat on the way to Lesvos capsized, two men managed to swim to shore in Dikili but 6 people died and 4 are missing. – Two months ago (08/10/2018) nine dead bodies were found and dozens of people are missing. The boat was trying to reach Lesvos. – Turkey (just up north of Lesvos): 7 people died in a shipwreck. This tragedy isn’t an accident, this is the result of European migration policies, set up since the Schengen deal in 1985. Strengthening borders and tracking and deporting people stops them from entering Europe legally, and forces them to use perilous routes instead. The European Fortress also set up policies to externalize the borders and repel as much as possible. The EU injects millions of euros into projects to prevent migration into European territory, no matter if it supports dictatorial regimes. Indeed, on the 35 « priority countries » for the externalization of borders, all are known for abusing human rights and half of these countries have an authoritarian or dictatorial government. It’s time to understand that the more money Europe give to train and equip armies from Turkey, Libya, Sudan…, the more people will try to flee those countries. 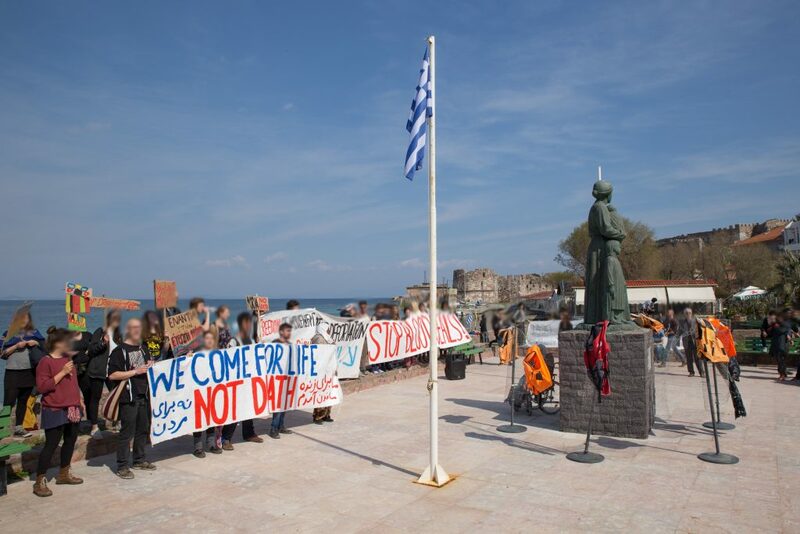 For those who survived a dangerous journey and finally arrived to Lesvos, the island becomes not a place to find safety but even worse, a place to slowly die. 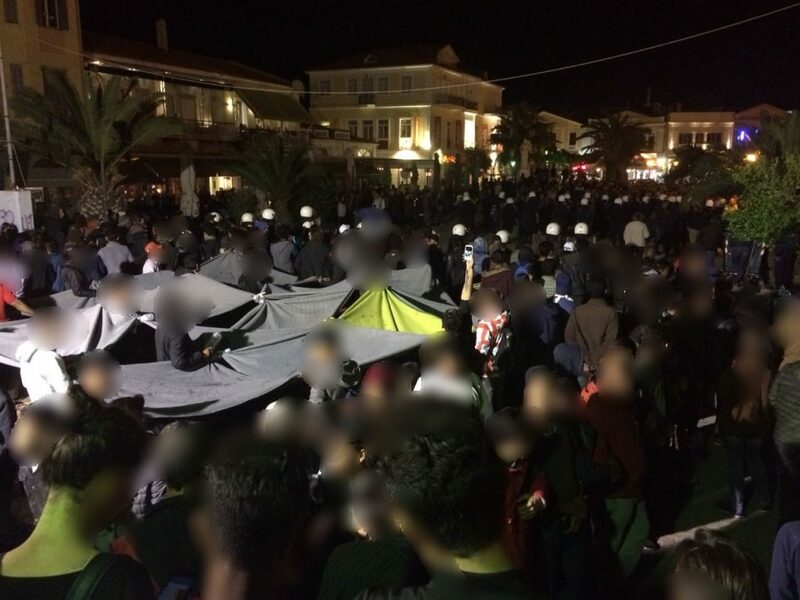 Lesvos is a prison for them, as they can’t go forward because of European policy, and can’t go back to their country of origin, because they would be persecuted, enslaved or killed. 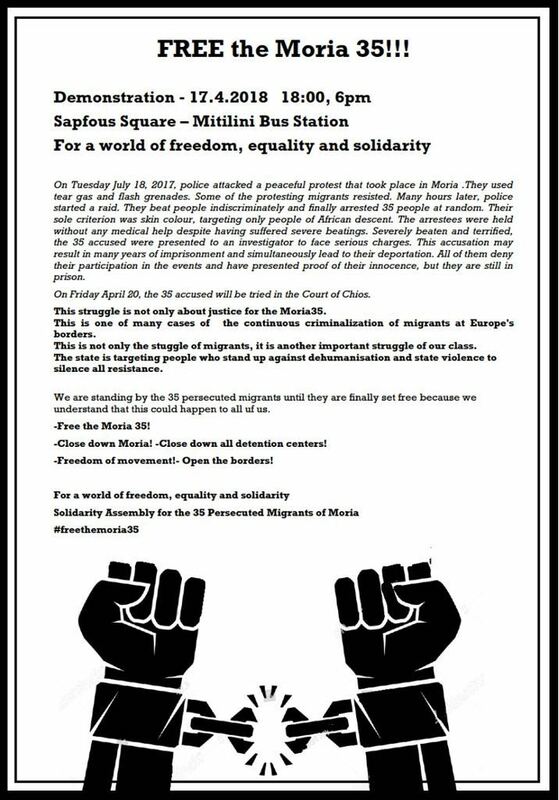 We stand in solidarity with migrants everyday, not only when UN celebrates the « International Day of Human Rights ». 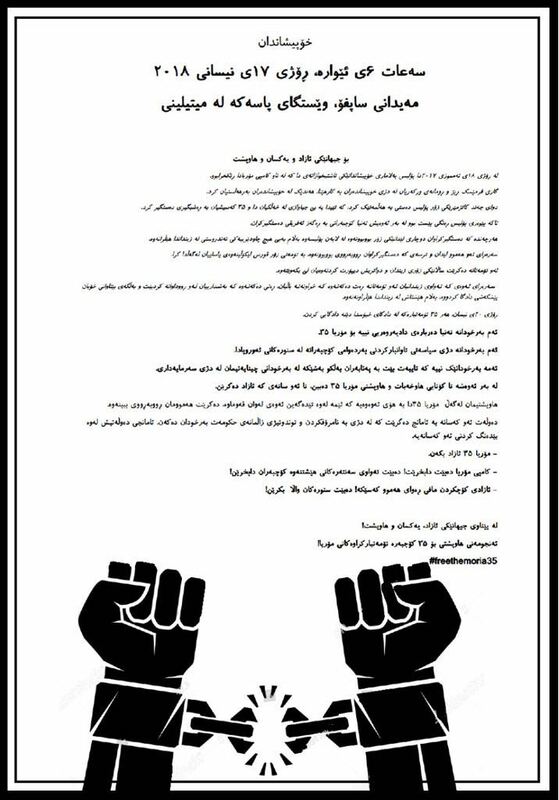 Saturday 17th of March 12:00 @Safos Square Protest against the EU-Turkey deal. 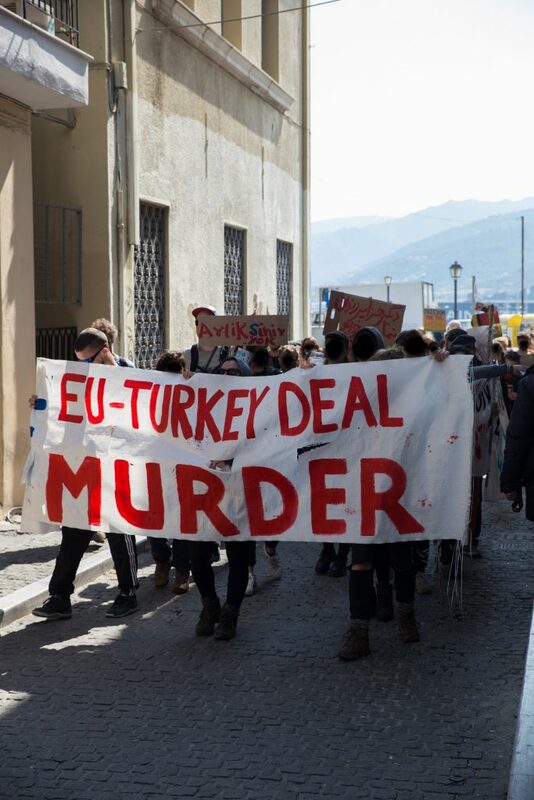 Broad Demonstration against the second anniversary of the EU-Turkey deal! 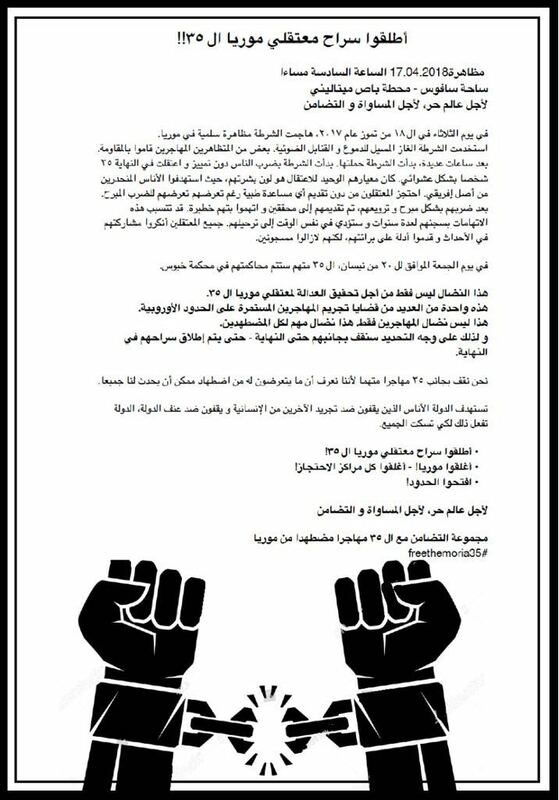 This Saturday the 17th of March 12:00 @Safos Square! But this is not the only place where demonstrations will take place that day. Don’t let the Anniversary go by unnoticed! Find your local initiatives and get to the streets! With the anniversary of the EU-Turkey deal coming up, it will be two years since the European goverments signed this deal with the devil. 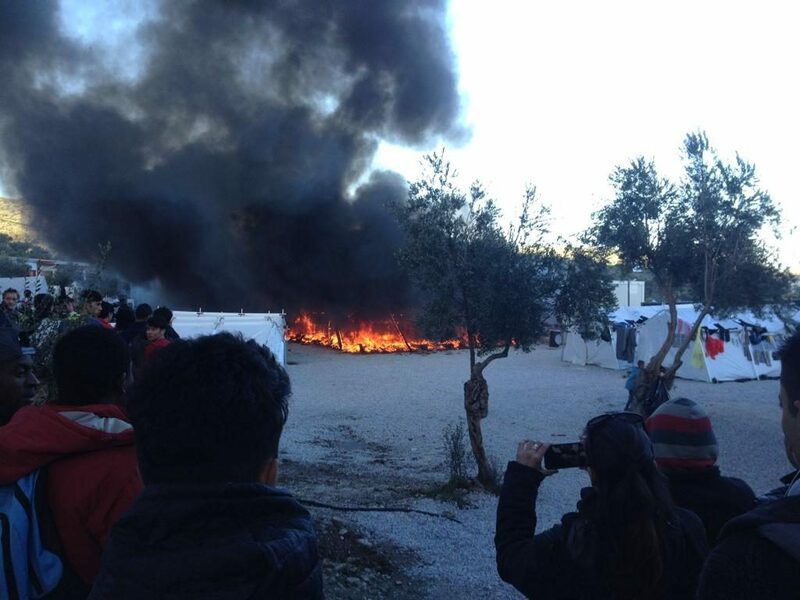 The despot Edrogan keeps bombing Afrin while the Eu looks on, forcing even more people to flee their homes. They claim to represent fancy words “civilisation” and “democracy” but turn a blind eye to the suffering of millions, that they have an active part causing.